This Blue Moon (14.5"w x 15"H) with a hint of purple garden stake, a must have for todays cosmic gardener. 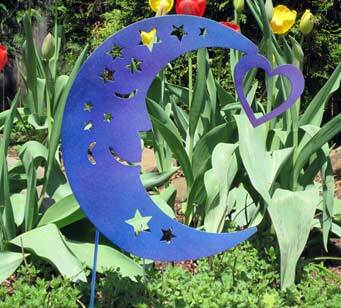 This Blue Moon with a hint of purple garden stake, a must have for todays cosmic gardener. A charming way to add some fun to your garden decor.